Incontinence is a problem that comes with a great deal of social stigma. The ability to control bodily functions is looked on as a means of self control. Unfortunately, for those with incontinence this type of control is beyond their capabilities. However, this does not mean that they need to suffer from low self esteem. One of the first steps in managing incontinence and improving the self esteem of individuals who are suffering with incontinence is by using the right incontinence products. There is a variety of different incontinence products on the market. Some people choose to use an adult diaper. This main benefit to this type of incontinence product is that it can easily be put on and taken off. In addition, today you can find adult diapers that can be worn under normal clothing. Other incontinence sufferers choose to use a different type of incontinence product. This can be an incontinence undergarment that is worn with or without incontinence pads. Many types of incontinence undergarments (also referred to as incontinence underwear), can be worn under normal clothing with discretion and confidence. For help and guidance in selecting incontinence products please click on http://caregiverpartnership.com/incontinence-product-finder. You can also choose samples to try by clicking on http://caregiverpartnership.com/landing/samples. It was not long ago that incontinence sufferers had to deal with incontinence in silence. There was not the variety and availability of incontinence supplies that there is today. Today, those people with incontinence can shop from the comfort and anonymity of home or office and find a wide variety of incontinence supplies that are available on sites that sell adult incontinence products. In addition, to various types of incontinence undergarments there are other incontinence supplies that can help improve the self esteem of the incontinence sufferer. There are incontinence pads, incontinence bed pads, (to help protect bed and furniture), creams for treating exposed skin, and wipes and disposal tools. All of these items can help to bring back a sense of control to a situation that can often feel out of control. Many incontinence sufferers report that once they have the right incontinence products to effectively manage their incontinence they feel more self confident and able to cope. It is also important that incontinence sufferers seek out the support that they need. This can be done in many different ways. Asking family and friends to support you or using a formal support group. Because it can often be difficult to talk about incontinence with family and friends it can be good to turn to an incontinence support group. The main benefit of using a support group is that the person with incontinence can gain valuable insight and information from those in the support group. Support group members can provide help, information, and encouragement while you seek out both incontinence treatment and incontinence management strategies. If you are unable to attend a support group there are a number of online incontinence support groups. These groups can provide the same benefits as listed above but also provide the anonymity of being online. No matter what type of support that you seek out the main goal is to lessen the stigma of incontinence and improve your self esteem. Once you realize that incontinence is a medically based problem you need to assure yourself that this is not a weakness or a fault. This type of problem can make people feel that they are less then deserving of attention, friendship, and even love. However, with the right management tools, support, and education they can overcome those emotional difficulties. 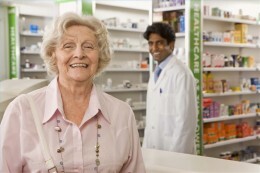 To find out more about all aspects of incontinence please visit http://caregiverpartnership.com/landing/incontinence.